Newcastle is an iconic city in the North East of England. Tynesiders are rightfully proud of their city’s heritage and culture - it thrived during the Industrial Revolution, but as heavy industry and the shipyards began to decline in the early 1900s, the city rallied and now has booming retail and public sectors. Perhaps best known for its wealth of prodigious footballers (and for the Toon Army that supports them) and its iconic brown ale, the area has greatly benefited from significant investment and regeneration of the quayside and centre. Newcastle is now a great place to live and study with affordable housing, booming social scene and world-class universities. 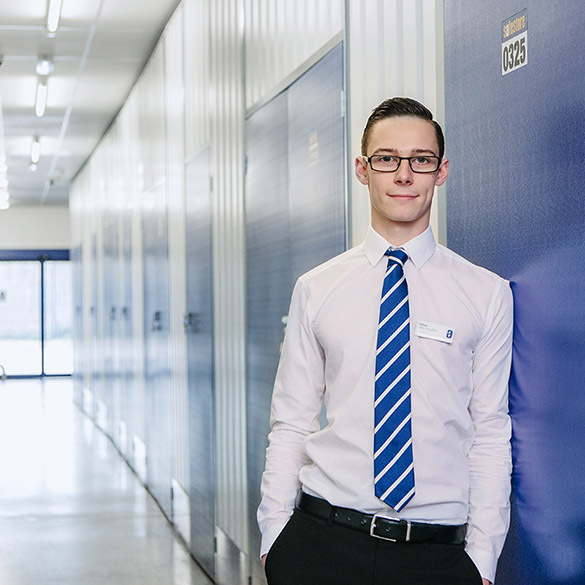 Newcastle is also home to three of our self storage stores. Safestore Newcastle Central is close to the city centre, not far from Newcastle University (ideal for student storage) and handy for self storage near Gateshead. Our Newcastle Wallsend store is just off the A1058 near where it meets the A19, conveniently located for Wallsend, North Shields, South Shields, Jarrow and Whitley Bay. Safestore Sunderland is southeast of Newcastle, not far from Sunderland and Washington. All of our Newcastle stores have car parking and 24-hour access available and we can even accept deliveries for you. Our highly secure units are available in a wide range of sizes for a low weekly price (we also have offices to rent at our Sunderland store). Call or click to book online today with no deposit to pay and flexible terms - stay for just a week or for as long as you need. Get a storage quote today and reserve a Newcastle storage unit for free. We won't ask for a security deposit either. Get 20% off if you need self storage for longer than 12 months. Available at all Newcastle Safestore centres. Terms apply. Newcastle (a city on the north bank of the River Tyne) offers world-class culture, a vibrant nightlife, award-winning dining, inspiring heritage, fantastic shopping and acclaimed architecture. With Newcastle University at the heart of the city, it's a great place to live for locals and students alike. If you're struggling for space at home or needing to store your stuff in between terms, then look no further. We offer a variety of different room sizes, from small lockers to large rooms. They are all available on a flexible basis, whether you need something long or short term. Storing starts from as little as a week, and you can move to another room if your needs change. We’re committed to offering you tailored storage to meet your requirements exactly. Whether you’re looking for personal or student storage, you’re bound to find the perfect solution with us. Newcastle is the most populous city in the North East, located in Tyne and Wear. The city is host to seven bridges, the most famous of which is the great arched suspension bridge that carries the A1. If you’re looking for a storage solution in Newcastle, then you’ve come to the right place. Here at Safestore we know that it’s important to have convenient storage at a location near you. Our storage rooms are available in a variety of different sizes, from small lockers to large units. We have both short term and long term rooms available, with storage starting from one week. If you’re storing large or heavy items, we have a range of transport options available to you. Get friendly, professional advice on everything from how to pack and what size room you might need, to an affordable quote. The Safestore team are always happy to help you. The North is renowned for being a friendly place and our professional advisors in store and on the phone embody just that. Newcastle advisors are experts in their field and can help you every step of the way through your storage journey. Safestores, in Newcastle and beyond, are proud to have been awarded a ‘Gold Trusted Merchant’ award in 2014, 2015 and 2016 by Feefo (an independant customer tracking system for businesses), commending our ability and commitment to making customers happy.